This is an event that we have been providing the radio communications at for some 25 years. 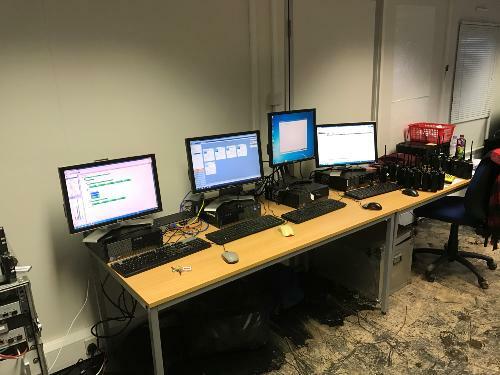 This started with a MPT1327 Trunked radio system using 40 or so Motorola GP680’s and 4 repeaters - it has now grown to a 3 site Capacity Max system using 16 repeaters and over 400 radio units, with features such as GPS Positioning, Text Messaging and call logging and recording through TRBOnet Plus. Radio coverage now extends from the docks at Leith and across the town into the Old City and beyond. As the years have passed we have migrated the technology, 5 years ago we changed to digital, using Motorola SL4000/DP4800 radios in a two site Linked Capacity Plus system with 4 repeaters on each site (otherwise known as Multisite Capacity Plus). Although the change to digital brought great benefits such as better call quality, the users greatly missed may of the MPT1327 features such as Full Off Air Call Setup, and call queuing, which we were finally able to put back with the advent of Capacity Max – this also returned the management features such as user barring which we had missed since analogue trunking. An added bonus was the end to end call encryption, which enhanced the security of the messages being transmitted, which is unfortunately becoming an increasing requirement in today’s world. 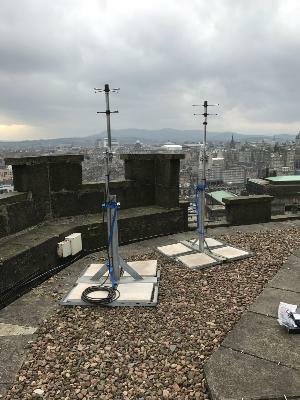 The job starts in the middle of November when we first arrive on site to install the rooftop antennas and the inter site links – previous experience has shown us that the weather in Edinburgh can make roof top access difficult due to snow and ice in December! At this time there are also discussions about the radio matrix and radio configurations. This year the 400 radios were programmed to 23 different configurations. About a month later we go back and start the main installation prior to Christmas. Some of the radio sites, like the Nelson Monument create their own issues, as being Listed Buildings/Scheduled Monuments we cannot affix antennas directly to the building, this was solved here using metal frames with weights. The inter-site link can just be seen on the right hand most antenna. Down Fire antennas are used here, as we need to restrict the range of this site. 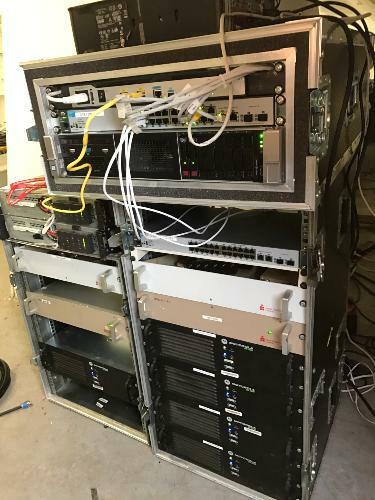 The main radio site houses repeater racks and Motorola’s Capacity Max System Server (CMSS), a VERY expensive computer running the software that makes it all come together. The equipment racks, although heavy, are fully configured and built to be delivered to the site in a manner that means the system can be up and running in minutes as soon as it is all plugged in together. This required days of configuration prior to even the first trip to Edinburgh! As well as repeaters, the racks have antenna combining to reduce the antenna count, following good RF engineering practice. The PC on its side is used to display System Advisor locally – which we have at each site, so we can maintain a system overview/diagnostics where ever we are - although I do intend to make this available on the internet so that the system can be checked from the comfort of our hotel room via a tablet or laptop! The 2 UPS’s backup the power supply to the CMSS, switches, routers, and inter-site links. Although the system is in a location with backup generator power, this takes a second or so to come on line, which would cause a reboot of all these items. Full capability would not then be restored for a few minutes while the CMSS and its 3 virtual servers restart, so it is worth having the power supplies running. The radio shack is a little different, because as well as housing a further set of repeaters, it has an array of PC’s all doing different things, which is how Capacity Max pulls together. Please forgive the state of the floor – when you are in a muddy location this is inevitable! Device programmer – as well as local programming, this handles the over the air interface for Over the Air Programming (OTAP). RM Config – where we enter the programming information, it also has a device programmer for local programming. Operationally the OTAP facility was the best thing we have ever used on this job, the ability to change radio’s programming without either getting the user to return them, or to go out to users somewhere in the city was a huge labour saving benefit to us this year. It enabled us to react quickly to the changing needs of users - indeed on the morning of the main event we changed the programming in some 42 radios remotely, which we could never have done in the past. We installed 10 desktop trigger radios in 2 control rooms, which are equipped with Bluetooth functionality and headsets, allowing the operators to freely move about in the control room and still communicate. There were also another 8 desktop radios scattered about in various locations. The build, installation, and programming takes us a total of 8 days, and the removal takes 2 days. 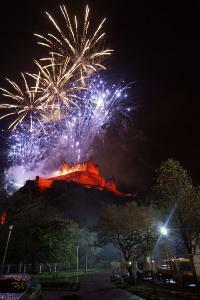 So, after 3 days of events, and seeing the new year in, we head back up to Edinburgh to take it all down! Hopefully this article has given you an insight into how a Capacity Max system comes together for a massive event like this. A big thanks goes to Mike himself for taking pictures and writing this article, all whilst working on the job! Intrigued about Capacity Max? Read more about the system and how you can hire it here.